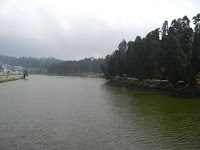 Mirik is a beautiful tourist destination at an elevation of 1495 m (4904 ft).in the district of Darjeeling,West Bengal.Mirik got its name from Lepcha word [Lepcha-a tribal community from the hills and few other areas] 'Mir-Yok' meaning "place burnt by fire".Sumendu lake is the center of attraction for Mirik which is surrounded by Pine trees and beautiful gardens.There is a beautiful road of 3.5 km long that encircles the garden and is used for walks where one can view the glowing Kanchenjunga on the far horizon. 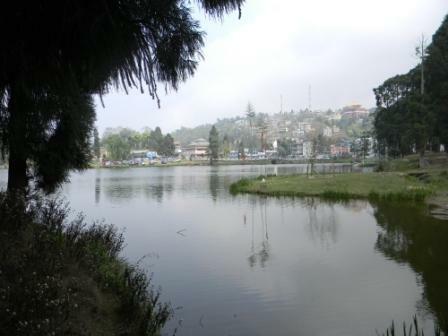 Bokar Monastry is a famous Buddhist Monastry located on the way to Ramitey Dara,Ramitey Dara is a beautiful view point nearby the Mirik town from where one can view the mountains and plains. District Darjeeling West Bengal India. Sumendo lake is one of the beautiful place of Mirik .The lake has a footbridge of around 3.5km that encircles the park.The lake has fishes and provides boating facilities.Its surrounded by Pine trees and beautiful gardens.There is a beautiful road of 3.5 km long that encircles the garden and is used for walks where one can view the glowing Kanchenjunga on the far horizon.